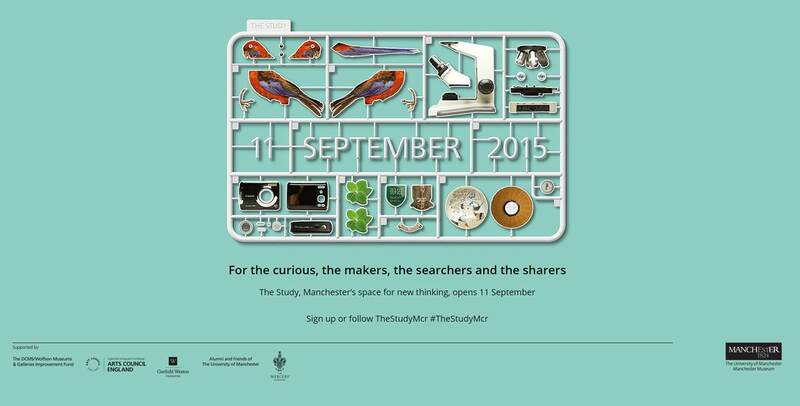 On 11th September 2015 Manchester Museum opens it’s dynamic new space The Study. The Study will provide stimulating surroundings and resources for users ranging from hobbyists to academics to explore and be inspired by the museum’s encyclopaedic collections. Part of this new space is a temporary exhibition gallery. 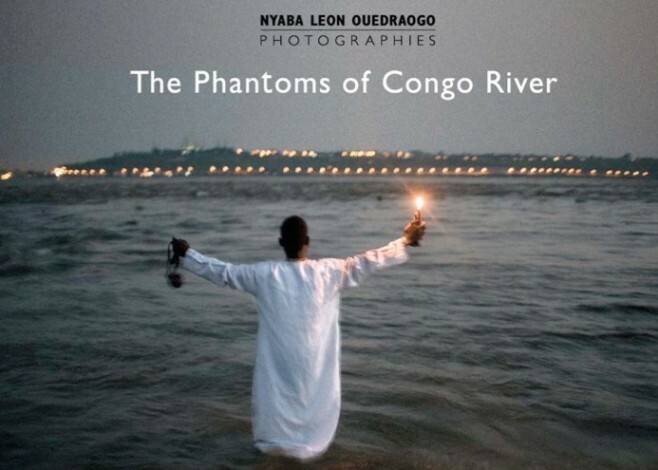 The inaugural exhibition for The Study’s gallery is The Phantoms of Congo River: Photographs by Nyaba Ouedraogo. Nyaba is an internationally renowned photographer and previously exhibited work in Manchester at Manchester Art Gallery in 2012 during the season of West African art called We Face Forward. This exhibition is Nyaba’s response to Joseph Conrad’s infamous 1899 novella Heart of Darkness. The text raises challenging questions about 19th century colonialism and racism in Africa, questions that Nyaba confronts in his work. The curiosity and critique embedded in Nyaba’s work is the kind of new thinking The Study aims to facilitate and encourage. On display will be 13 of Nyaba’s most powerful prints accompanied by stunning objects from the Living Culture’s collection. You’ll be able to peruse the full series of prints in Nyaba’s catalogue which will be publicly available in the Discover area of The Study. We’ll also have copies of Heart of Darkness in the Share area. From 11th September onwards there’ll be an exciting series of events across The Study, including those related to the Congo, so keep up to date at the Manchester Museum website (http://bit.ly/1AuFKXT) and The Study Twitter feed (http://bit.ly/1INaiY2). 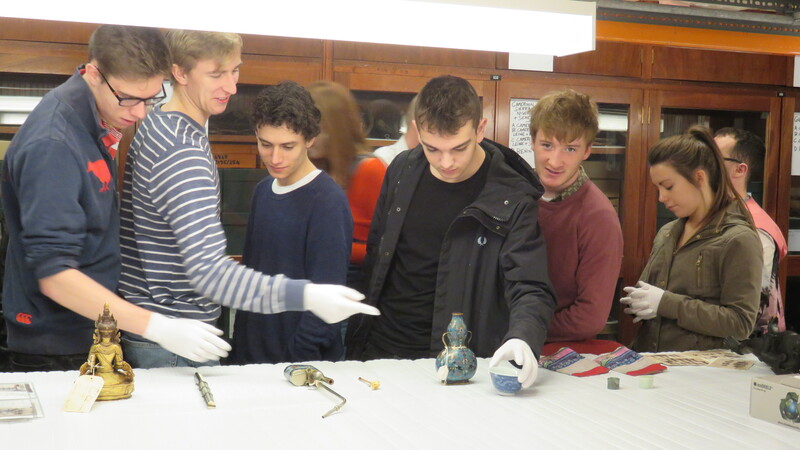 Students are introduced to the Museum’s collections as part of formal teaching programmes in several different departments across the university. 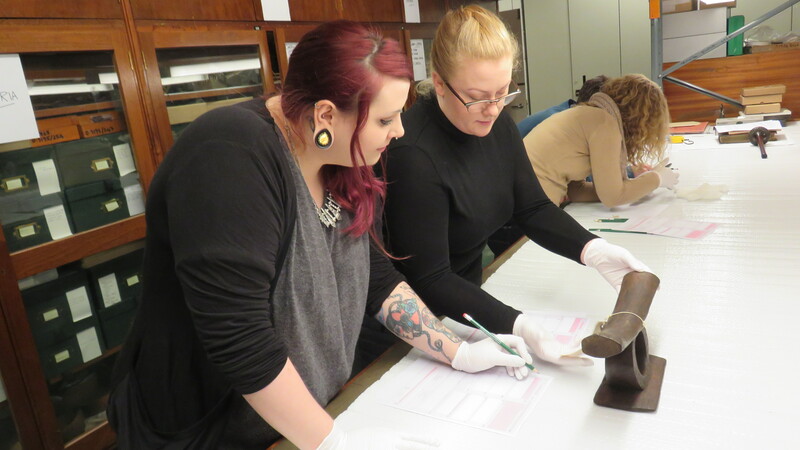 Our curators and conservators deliver teaching on many courses, both in the classroom and in the museum itself. 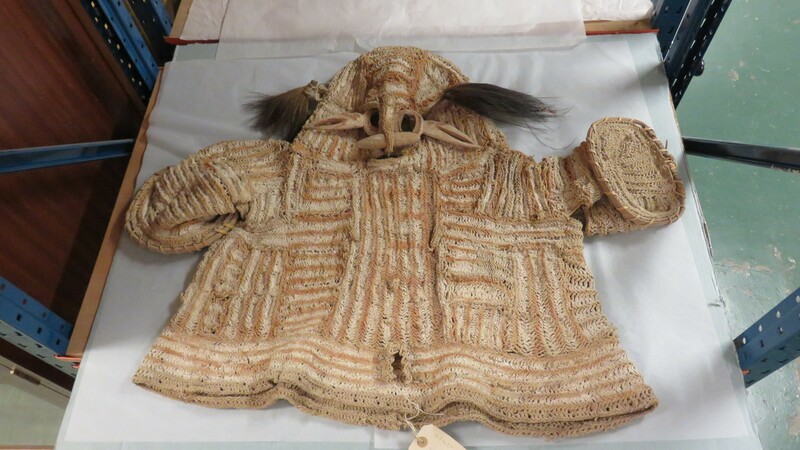 In recent visits to the Living Cultures stores from students on the Archaeology, Social Anthropology and East Asian Studies courses, we have aimed to inspire students to carry out research using the collections. There are many objects in the collections which would make fascinating topics for original research, as we only know a very small amount about their histories. 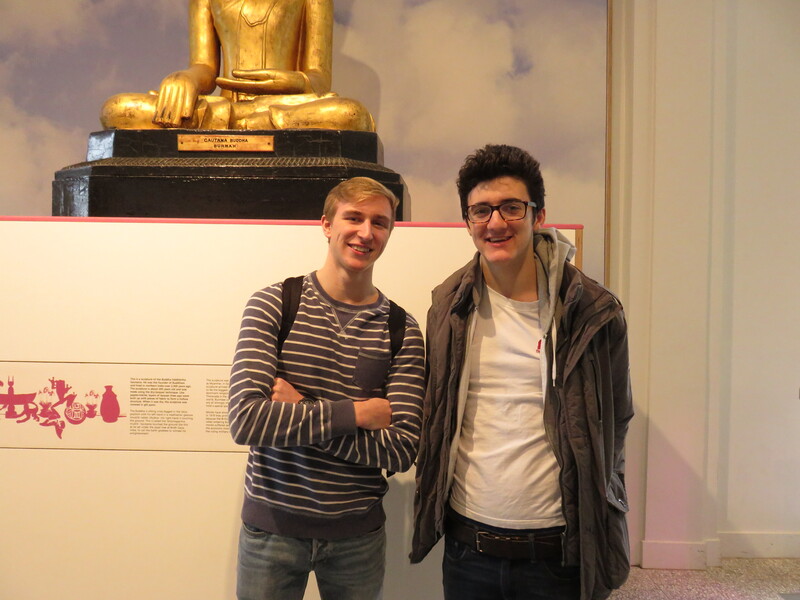 “We got to see some really interesting artefacts enhanced by having the curator there to guide us through the objects. It was certainly a worthwhile trip for anyone who is simply interested in finding out more about history or for someone thinking about a dissertation topic in need of an interesting, and maybe even unstudied, artefact. Students also engage with the museum collections through work placements, volunteering or as part of extra-curricular societies. Recently, I was asked to run a workshop for ArchSoc, the University of Manchester’s Archaeology Society, to introduce cataloguing and collections management to a small group of undergraduate students from across three year groups. As well as showing the group a small section of our stores ‘behind the scenes’, I also gave them the chance to have a go at writing a simple catalogue record for an object. This allowed us to discuss the importance of recording context and provenance, and of effective collections management in the museum setting. There are many ways in which the work of the Museum overlaps and collaborates with its academic colleagues in other departments in the University; from showcasing research through the temporary exhibition programme, to hosting talks, conferences and events. Our collections include field collections from Manchester’s academics and students, and are informed by their research. We aim to engage and inspire students wherever possible, showing that there are many different ways to use the collections, and many relevant contemporary conversations to be had around our historic objects. 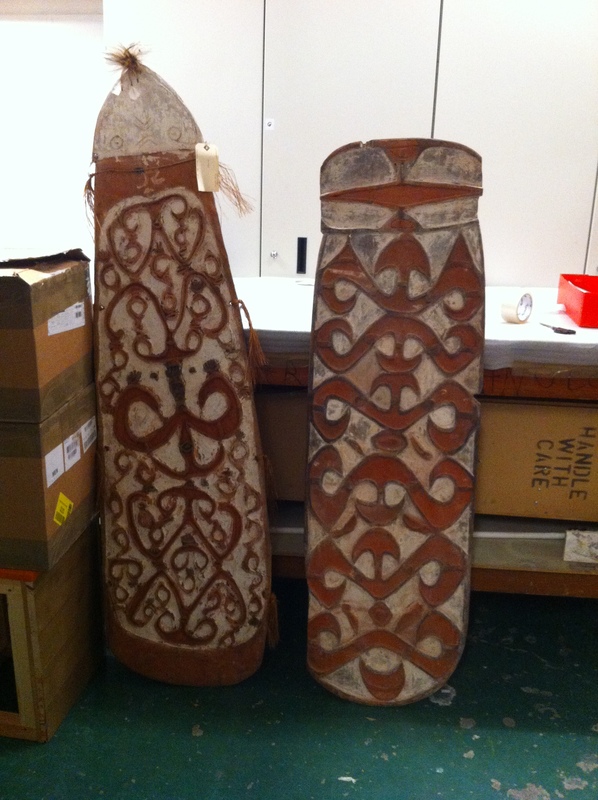 Earlier this year, my review of Manchester Museum’s Pacific collection uncovered these two shields, which had been packaged and stored above some cupboards so that Stephen Welsh, our current Curator of Living Cultures, had never seen them. When we unwrapped the packages, the shields were labelled with their museum accession numbers, and the note ‘Purchased from Asmat Art Depot’. The pigments used on the shields – white made from lime and red made from a riverbed clay – tend to deteriorate and become detached over time, so the quality of the colours on these shields suggested they were fairly contemporary. Looking at the accession register for the collection, it was revealed that the shields came into the museum as part of a group of eleven objects in January 1970. 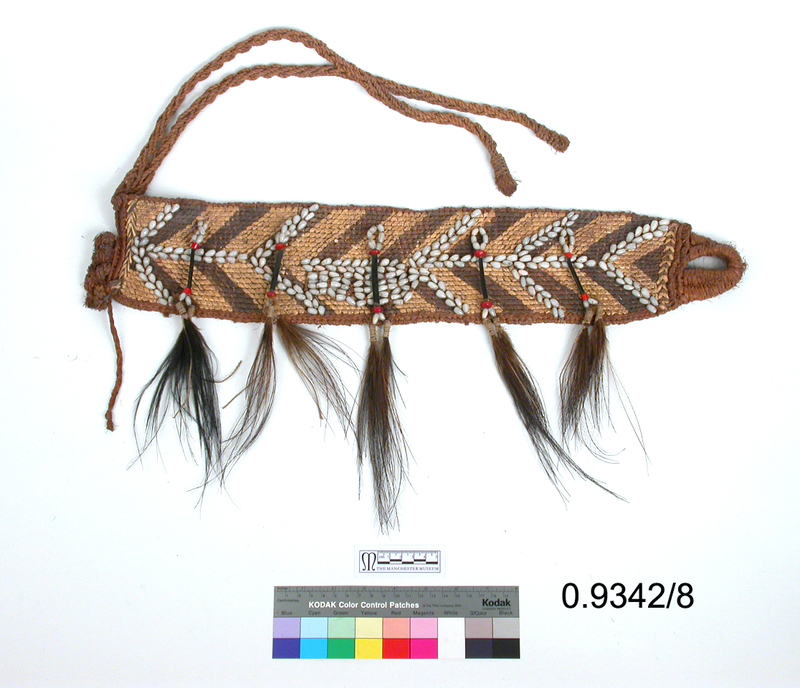 0.9342-8 A belt from the Asmat region of West Papua, acquired by manchester Museum in 1970. Following some research, I was able to discover a lot more about the circumstances of the acquisition. The Asmat Art Depot was located in Rotterdam in the Netherlands, set up to distribute objects produced as part of an initiative called the Asmat Art Project. Asmat is an area to the south-west on New Guinea island, in present day Indonesia. New Guinea was divided during colonial times – the west half being controlled by the Dutch, while the east half was split between Britain and Germany. When the Treaty of Versailles forced Germany to give up its colonies, the entire eastern half of the island passed to Britain, but was administered by Australia until it gained independence as Papua New Guinea in 1975. The Dutch left New Guinea in 1961, when the western half of the island (previously called Irian Jaya, but now generally known as ‘West Papua’) became independent. However West Papua was taken over by the Indonesian military in 1963, and remains part of Indonesia despite continued movements for independence. Most of the objects in the New Guinea collections at Manchester Museum understandably come from Papua New Guinea, as they were collected by British colonial officials, missionaries and explorers during the 19th and early 20th centuries. New Guinea island with it’s current political divisions. The Asmat region is located in the province of Meraluke in the Indonesian state of Papua. It is a heavily forested area of swamps and mountainaous terrian which prevented many Europeans from visiting until the 20th century. When Indonesia took over West Papua (then called West Irian), the United Nations provided money to help support the economic and social development of the country. The Fund for the development of West Irian (FUNDWI), was distributed across different projects in various areas. One of the projects which attracted funding was the Asmat Art Project, a means of reinvigorating the wood-carving tradition which had been losing momentum in this remote area of the country. Many of the objects traditionally carved by the Asmat people were part of complex rituals tied to their beliefs surrounding the spirits of ancestors and the journey from death to Safan, the world of the spirits. The Asmat believed that all deaths were caused by an enemy tribe – either directly through inflicting injury, or through the use of sorcery to cause illness. Therefore the spirit of the deceased could not rest until their death was avenged by killing and taking a head from the enemy tribe. The rituals of head-hunting and revenge killings, and by association the carving traditions, had been extremely unpopular with Christian missionaries and outlawed by the Dutch government. However due to the remote nature of the area, it had been difficult to eradicate the traditions. Catholic missionaries didn’t have much influence in Asmat until the 1950s, when the old rituals then sharply declined as people converted to Christianity. Without the traditional rituals for which to make carvings, the practice went into decline. The Asmat Art Project sought to reverse this trend by promoting carving and other craft traditions as ‘art’ rather than ritual. An ex-colonial administrator, Jac Hoogerbrugge, was appointed to run the project, along with an Asmat assistant Jeremias Mbait. Between 1968 and 1972, Hoogerbrugge toured Asmat, showing photographs of older carvings to Asmat people and encouraging traditional methods being used in the creation of new pieces. A store was set up in Agats, the capital of the region, where carvers could come to sell their work for a fair price. Hoogerbrugge maintained quality by rejecting clumsy and badly made pieces, or objects which looked ‘too modern’, such as figures carved wearing glasses or smoking pipes. He had a good understanding of what galleries and dealers would buy, and worked hard to maintain this quality. The purchased pieces were shipped to the Asmat Art Depot in Rotterdam, from where they were distributed. Hoogerbrugge made deals with several important museums, so that their curators could take the first pick of the pieces they wanted for their collections. He also wrote to two hundred galleries and dealers internationally, providing a sales brochure and promoting the artistic practice of the Asmat carvers. 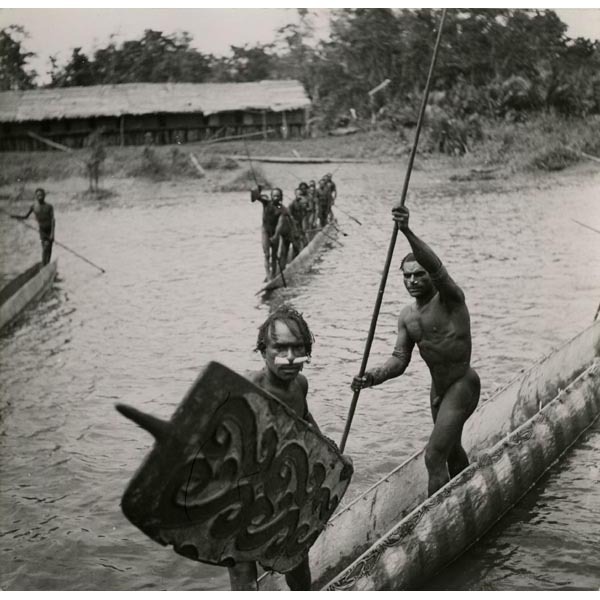 The project had a significant impact on carving traditions in the Asmat region. Carvings changed to be more appealing for galleries – shields began to be made without handles at the back, so they could be hung on the wall as flat patterns. Other pieces without a specific function began to be made, just as art pieces. In the past, young men who were drawn to carving had a long apprenticeship ahead – watching the ‘wowipitsj’ or skilled men until they were allowed to complete small parts of carvings, and eventually make pieces on their own. The Asmat Art Project democratized the process, allowing anyone to sell pieces as long as they fitted with a traditional style. Museums have always valued ‘authentic’ objects, those showing signs of use and age rather than those produced specifically for sale. The Asmat Art Project aimed to create a market for these ‘new’ objects by promoting their value as contemporary ‘primitive’ art. Despite this aim, the major collections in museums such as Manchester, along with the Pitt Rivers Museum and the British Museum, seem to contain objects collected at the beginning of the project which had already existed and had some ritual life. 0.9342/1 Jipae mask in the collection of Manchester Museum, acquired from the Asmat Art Depot in 1970. The jipae mask which was one of the objects acquired by Manchester Museum was accompanied by a note which states that it was used in 1967 by its maker, Mbatjam, who had represented the spirit of a woman called Awat. During Asmat mask rituals, men would produce jipae masks inside the communal men’s house. At the time of the ceremony, each man would represent the spirit of a deceased person from their village, often a relation-in-law. The ceremonies took place every few years, so there would be one mask for each person who had died since the last feast. The intention was to reassure the spirit that their affairs were taken care of, and their dependents looked after so that they could go on to Safan, the spirit world. Awat had died leaving three children, so during the 1967 mask feast, her spirit would be shown that they had all been adopted into other families, and she need not worry about their well-being. Knowing this provenance and story to accompany an object makes it interesting for a museum collection about Living Cultures. The Asmat Art Project collected this object, which had been used, but encouraged the creation of many new pieces. Are these equally interesting? Can such a culturally significant object really be considered as art? (This blog post is a summary of a talk given at Manchester Museum on Wednesday the 3rd December 2014 as part of the ‘Collection Bites’ series. 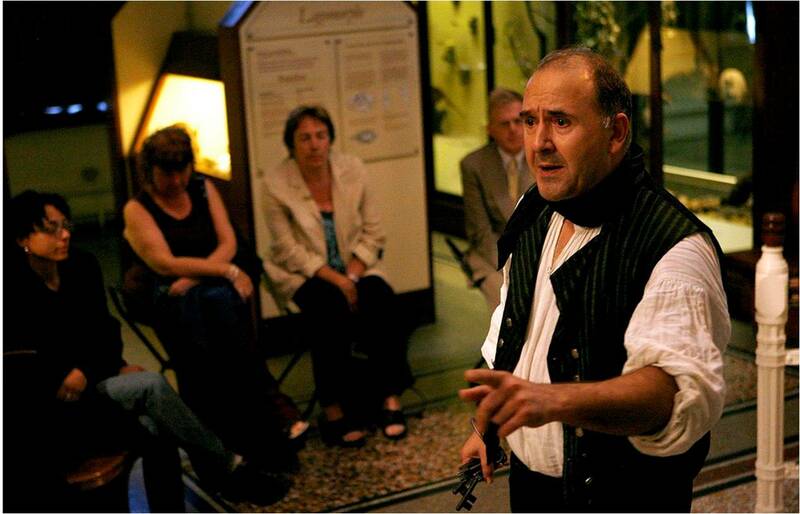 For details of future events see the Events Calendar and follow the Museum Meets blog). Several months ago I decided to change the appearance of this blog. I wanted the lead graphic to be an image of an object that exemplified the Manchester Museum mission to promote understanding between cultures. I knew immediately which object this had to be, one of the seven voter education posters from the 1994 South African general election. This election marked the end of apartheid and saw the inauguration of Nelson Mandela as president. 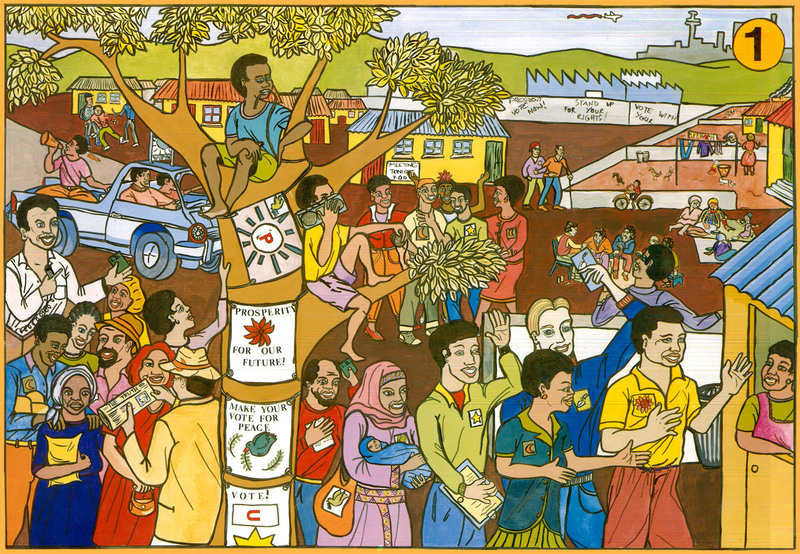 Voter education poster, 1994, South Africa. Manchester Museum Living Cultures collection. 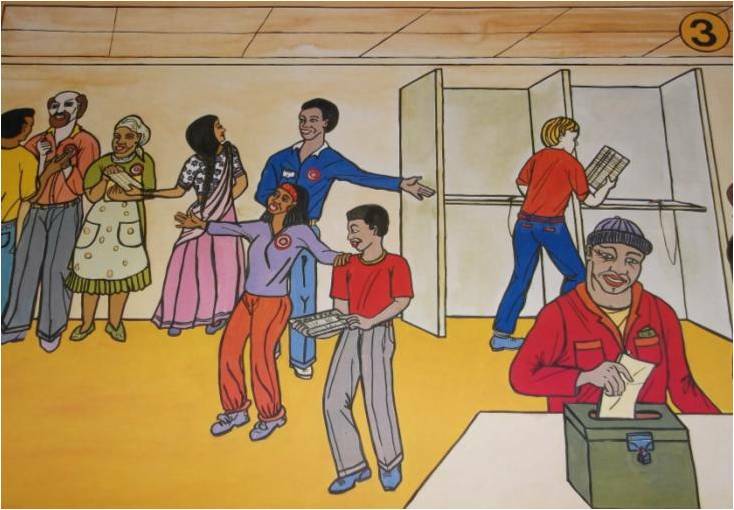 These posters and a facsimile voting slip were donated in 1994 by Professor Frank Jolles from the University of Natal, South Africa. Among the predominately colonial collection of ethnography these brightly coloured posters lambently resist, both aesthetically and intellectually, the other objects around them. Their progressive post-colonial and anti-apartheid message offer an invaluable juxtaposition to the 19th and early 20th century ethnographic narrative. UK museums have greatly advanced their engagement with post-colonial discourse and increasingly diverse users. This is an extant and ambitious process not without contest. The result has been to position museums and their collections as fundamental components in the action of understanding both local and global cultural diversity. These posters articulate this mission perfectly and offer a continuing source of inspiration. Thank you Nelson Mandela.